I was wondering if there was a possibility to lose a couple of cup sizes. I've been a ballerina since I was 4 and I recently took three years off so I never exercised and my cup size grew to a 36C and I want to get back to having a slim body like most in my class. I'm 15 and done growing and it seems that my classes aren't helping me lose weight so I wanted to know of there was any other kind of exercise to do with this to help me get back to the slim body I used to have. Do you know of any? I would greatly appreciate the help. Thank you for contacting me, it's great to hear from you. 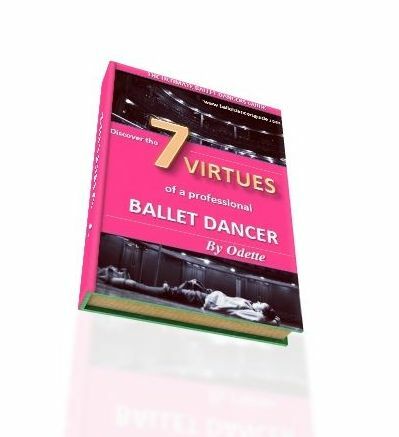 Firstly, there are a lot of ballet dancers bodies who have changed as they have got older in their teens. You go through puberty and find yourself with a more womanly figure, so you can't always stay the same as when you were younger. The professional ballet dancers I always admire are the strong women who are slim yet developed, and incredibly toned like athletes. Of course, I understand your situation and with the few years you took off ballet it is more normal to see your figure change. I would suggest doing some more aerobic exercise for the meanwhile like swimming, cross-training or running. This type of exercise can tone your muscles and help you slim down, whilst also keeping you in great shape. On top of this, you could also try Pilates which has more of a subtle benefit than the others above. The more you do the Pilates, the stronger your muscles will get especially your abdominals. Use the time in your ballet class to focus on your technique and personal corrections, but also remember you have to work in a very physical way to see your muscles developing like a ballet dancer. This means, you must use your muscles to make each movement and physically feel your body trying to be in control of your technique. Give yourself time too, because even though you may not see a difference straight away, in the long term you will be helping sculpt your slim and strong ballet body.